Tech Guru Guy Kawasaki Plays Not My Job Thirty years ago, Kawasaki went to work for a computer company that was trying to change the business with a product named after a fruit. Since helping launch the Macintosh computer, Kawasaki has been a venture capitalist, author and business consultant. We ask him three questions about Scientology. Thirty years ago, Guy Kawasaki went to work for a computer company that was trying to change the business with a product named after a fruit. Since helping launch the Macintosh computer, Kawasaki has been a venture capitalist, an author and a business consultant. We've invited Kawasaki to answer three questions about L. Ron Hubbard, founder of the Church of Scientology. Hubbard's story is told in a new book by Lawrence Wright, called Going Clear: Scientology, Hollywood and the Prison of Belief. And now, the game where we ask interesting people about things that do not interest them in the least. Thirty years ago, Guy Kawasaki went to work for a computer company that was trying to change the business with a product named after a fruit. 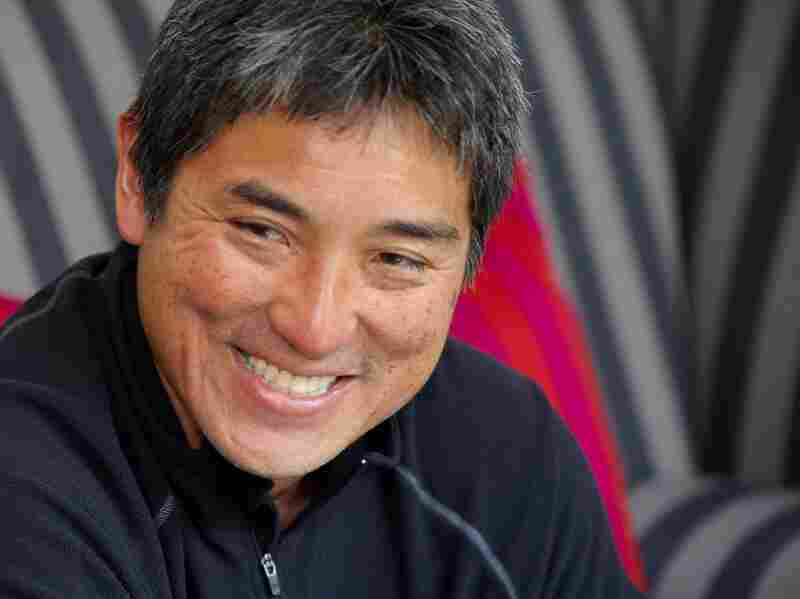 Since helping launch the Macintosh Computer, Guy Kawasaki has been a venture capitalist, an author, a business consultant. We are delighted to have him here, because we've got some complaints about the reception on our iPhones. Guy Kawasaki, welcome to WAIT WAIT...DON'T TELL ME! GUY KAWASAKI: Thank you. Thank you. SAGAL: So you, as a young man, out of Stanford, I guess, went to work for Apple. Back when, like 1980, around then? SAGAL: 1983. And what was it like then? I mean it wasn't the huge, you know, planet-devouring behemoth that it is now. KAWASAKI: Well, it was still quite successful. It was a hot company in Silicon Valley. Believe it or not, you know, back then the state of the art of computer interfaces was pretty much plain old letters, you know, ASCII letters. And so to have a mouse and to have a button and to be able to draw and paint in multiple fonts, it was a religious experience. KAWASAKI: It's not unlike being on WAIT WAIT...DON'T TELL ME! SAGAL: ...the philosophy of, like, Macintosh applied to the rest of people's lives and their businesses. And one of the chapters is "The Macintosh Guide to Dating and Marriage." SAGAL: Please tell us now how to date and marry the Macintosh way. KAWASAKI: Well, it is all about product positioning. So you have to be likeable, trustworthy and competent. That eliminates most men. SAGAL: I mean, were you serious about this? You were like the Macintosh can be a model for how you can get a date? SAGAL: Yeah, I understand how that goes. SAGAL: So ever since then, you've been out there and you've been like a venture capitalist. You've been helping people start up their own companies, trying to be the next Apple. I assume that people approach you with dumb ideas all the time. SAGAL: Yeah, some of the dumber ones. KAWASAKI: All right, so one company wanted to build a geodesic dome over Los Angeles to prevent air pollution. I don't remember if it was to keep the air pollution in or keep it out. KAWASAKI: Another company wanted to buy the country of Israel and make it into an amusement park for the rest of the Middle East. SAGAL: You mean, instead of like it was a holy land, they're like "Holy Land." SAGAL: I remember reading a column you wrote many, many years ago, where you were saying, well, you know, they've got all these devices and these things. You know what I really want? I want like one device that can be like my address book and my calendar and my phone all at one time. And I remember reading that and thinking to myself, "that's a crazy idea. How could that ever work?" SAGAL: So as far as I'm concerned, you invented the smart phone. KAWASAKI: Well, from your mouth to God's ears. KAWASAKI: I think Steve Jobs deserves more credit than I do. SAGAL: ...I haven't seen my children in three years. SAGAL: And I live in the same house with them, Guy. KAWASAKI: Well, why don't you just text them? SAGAL: I could do that. SAGAL: Do you ever feel, because you have been in tech for so long, do you ever feel like we've gone too far? We're like too obsessed with our gadgets and our things and our tablets and our phones and our interfaces and our whatevers? KAWASAKI: Oh, but Peter, I mean think of who you're asking this question. This is like asking the Pope if he's too Catholic. SAGAL: So you don't feel like - just more, more, more. KAWASAKI: The more people in Silicon Valley make with these companies, the more we can participate in the donations during your telethon for NPR. MAZ JOBRANI: There you go. JOBRANI: So all this you've done for NPR is what you're saying? This is all for WAIT WAIT. 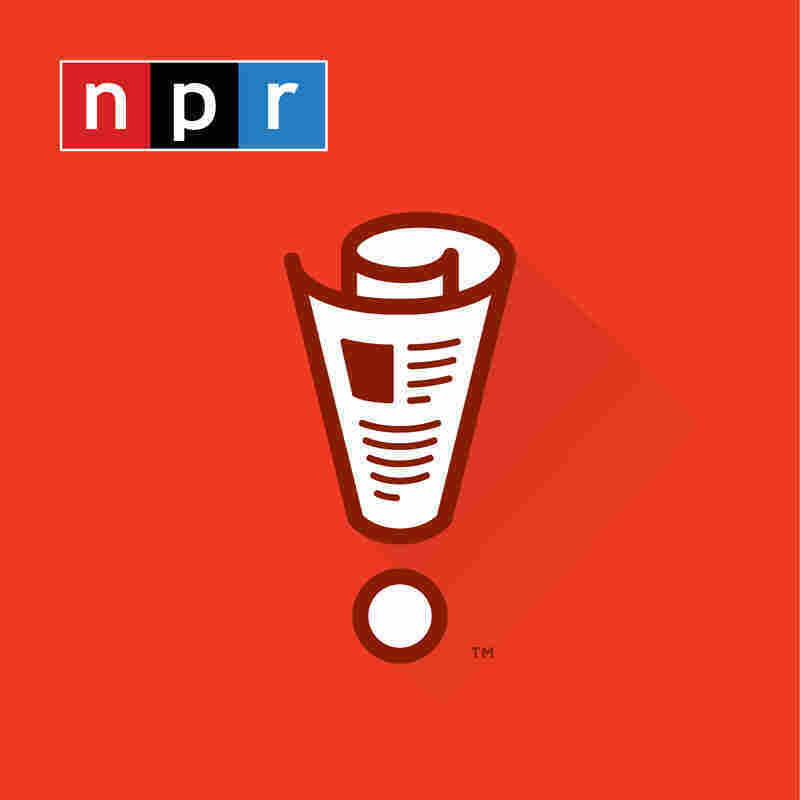 KAWASAKI: Every morning, I get up and I say how can I help Peter Sagal and Terry Gross? SAGAL: So here's the thing, people should know that Guy is only kidding a little bit. Because a couple of years ago, somebody sent us this book that Guy had written and it's a book - I think it was called "Enchantment." It's another book on business and skill and getting ahead and getting what you want in the world. And as an example of how to do things well, you use this radio show. SAGAL: And then, after that, we found out that like you had done this keynote address at some big computer conference and you finished it by saying "By the way, if anybody knows anybody at WAIT WAIT...DON'T TELL ME!, I really want to be on it." And we were like, all right. SAGAL: We got to ask this guy, this pretty prominent guy in the computer world who keeps talking about us, "What is your problem?" ROY BLOUNT, JR.: Is there a WAIT WAIT way of dating? JOBRANI: Maybe the chapter came up because he was just trying to fill the book again. Is that what it was? SAGAL: Yeah, I know. It's like, wow, I'm on page 100, I got nothing else to say. SAGAL: What's on the radio? JOBRANI: Yeah, just turned it on. He's like this guy's a genius, I'll write about that. CARL KASELL: I want to start a religion. That's where the real money is. SAGAL: Now that is a pretty famous quote, attributed to L. Ron Hubbard. He is the founder of Scientology. And his amazing story is told in the new book by Lawrence Wright, called "Going Clear." We're going to ask you three questions about the life and times of Mr. L. Ron Hubbard. Get two right and you'll win our prize for one of our listeners, and of course, a lawsuit from the Church of Scientology. KAWASAKI: Peter, before you do this, can I tell you a story? SAGAL: Oh, by all means. KAWASAKI: OK, so a few years ago, I made a speech and I had a slide that had a mock book cover. And it was a mock title of "Guy-anetics." SAGAL: Mr. Hubbard's famous book was "Dianetics." KAWASAKI: Yeah, OK. And I got a letter from L. Ron Hubbard's law firm saying I cannot use such a title. SAGAL: Really? And how did you respond? SAGAL: You're not the first. We may not be on the air next week. We'll see what happens, but we're going to try this. SAGAL: Carl, who is Guy Kawasaki playing for? KASELL: Guy is playing for Maria Cuevas of San Francisco. SAGAL: All right, Guy, here's your first question. Mr. Hubbard said that his initial revelation of the true secrets of the universe came to him suddenly and unexpectedly when? A: when he got hit on the head with a coconut? B: Quote, in the physical act of love? Or C: while at the dentists? KAWASAKI: Wow. I would have to say it's unlikely L. Ron Hubbard sat under a coconut tree or made love, so I'd pick the dentist. SAGAL: He actually did both those other things, but you're right, it was at the dentist. SAGAL: Mr. Hubbard said that while under anesthesia at the dentist, he had a near death experience, which allowed him to see the secrets of the universe, until a voice yelled, "No, he's not ready" and sent him back. KAWASAKI: I tell you what, from now on, I'm going to floss every day. SAGAL: All right that's one question right. Your next question: L. Ron Hubbard had modest origins. He accomplished a lot. One of his methods to propel himself forward to great things was a list of what are called affirmations, things he said to himself until he believed they were true. Which of these was one of L. Ron Hubbard's personal affirmations? A: that he could get nourishment, if necessary, by eating wood? B: that he was the reincarnation of Shakespeare, Milton and Dickens? Or C: that there were, in fact, no snakes under his bed? SAGAL: Shakespeare, Milton and Dickens. SAGAL: They wrote a kind of software. You might not have heard of them. SAGAL: So you're going to go for that one? SAGAL: No. No, the answer was C, that there were no snakes under his bed. SAGAL: The list of affirmations is quite remarkable. It makes for very interesting reading. And apparently, among many other things he worried about, he worried that there were snakes under his bed. SAGAL: This is exciting. It's the last question. If you get this one right, you win it all. Here we go. As the spread of Scientology was met with increasing resistance and criticism, Hubbard became convinced that somebody was behind the opposition to him, somebody was organizing it. Who was it? Who was his enemy out there somewhere? Was it A: the Queen of England? B: SMERSH, that's the evil conspiracy from the James Bond novels? Or C: The Muppets? KAWASAKI: I don't even care if it's wrong; I have to say The Muppets. SAGAL: The Muppets, that he actually believed The Muppets were out to get him? SAGAL: You're sure about Muppets? KAWASAKI: I meant the Queen. SAGAL: So you're going to go with Queen? KAWASAKI: How about the SMERSH? SAGAL: How about SMERSH? Yes, that's the answer. SAGAL: ...that the people out to get him were all organized by SMERSH, a fictional evil cabal he found out about reading James Bond novels. Carl, how did Guy Kawasaki do on our quiz? KASELL: So with the two correct answers, Guy wins for Maria Cuevas. SAGAL: Well done. Thank you, Guy. SAGAL: So Guy, since you were so obsessive about getting on our show, and so you're here to do it. Now that you've done it, what is left for you in your life? SAGAL: I think you put us in the right order. Guy Kawasaki's latest book is "APE: How to Publish a Book." Guy Kawasaki, thank you so much for joining us on WAIT WAIT...DON'T TELL ME!